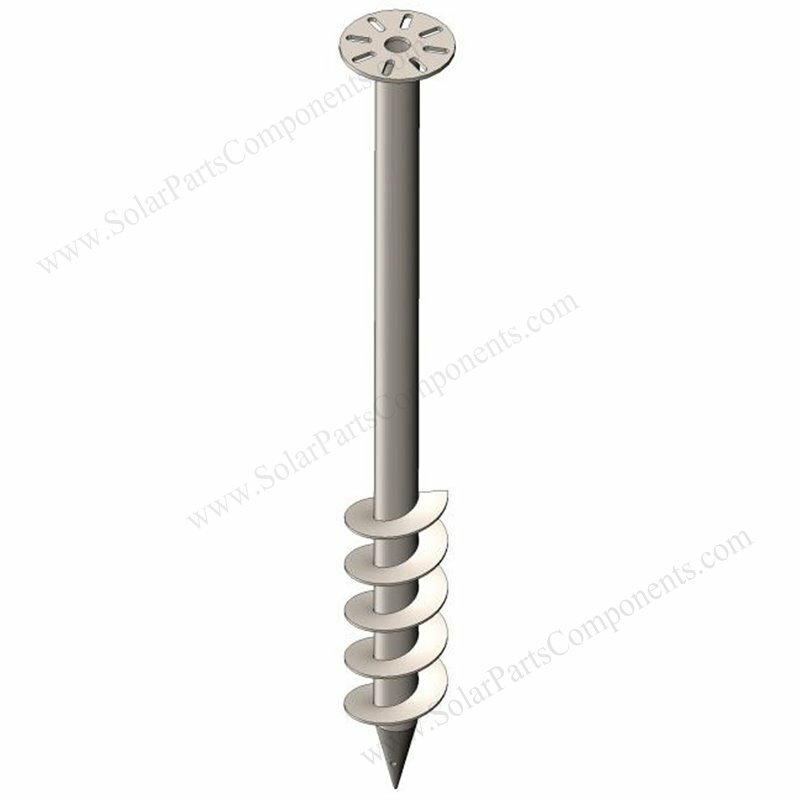 This ground screws model SPC-solar-screws-A20 is specially designed for solar panel ground mounting . , outdoor signs… Offer strong foundation supports . anti-corrosion for more than 10 years . 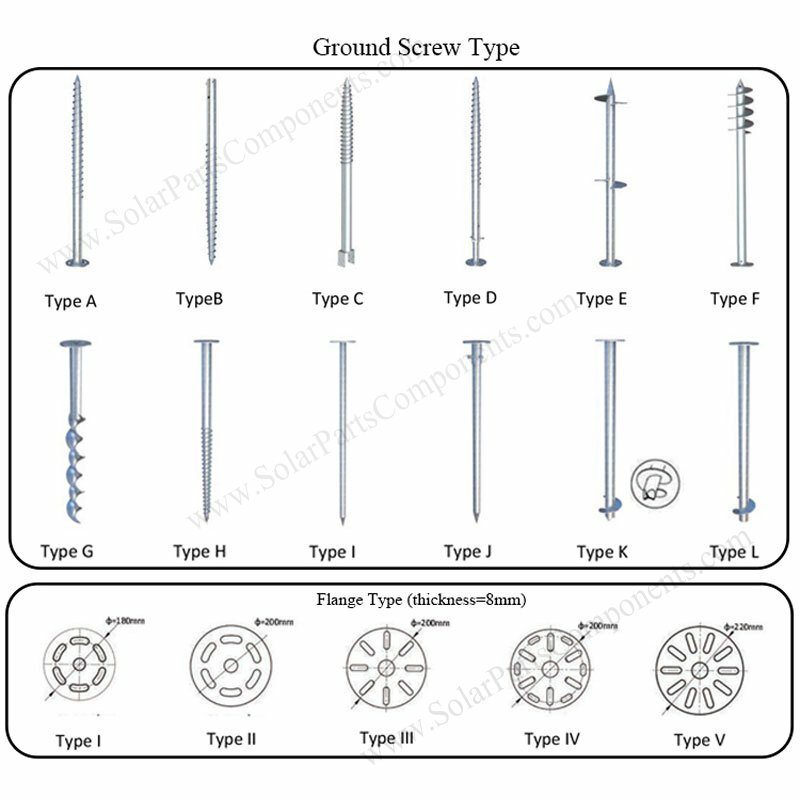 – Several flange types for ground screws like :D180x8mm, D200x8mm, D220x8mm can be choosing, several hole patterns available . 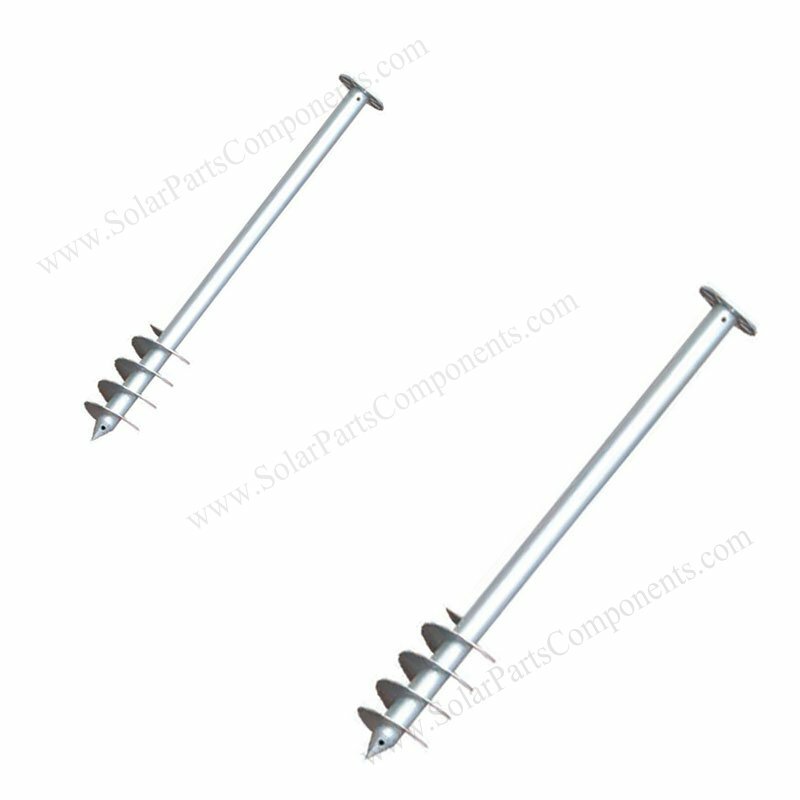 – This ground screws can be also used for fencing, street lamps, camping tents, wood house … besides solar panel ground installation. 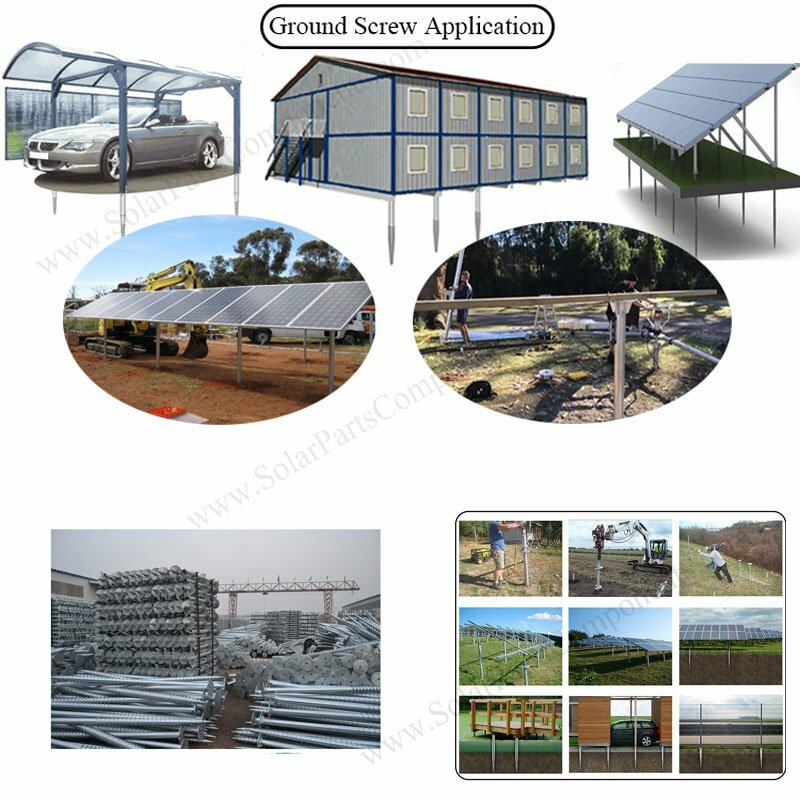 Application : Solar power mounting, ground base, fences, carport, mobile house and flag poles. 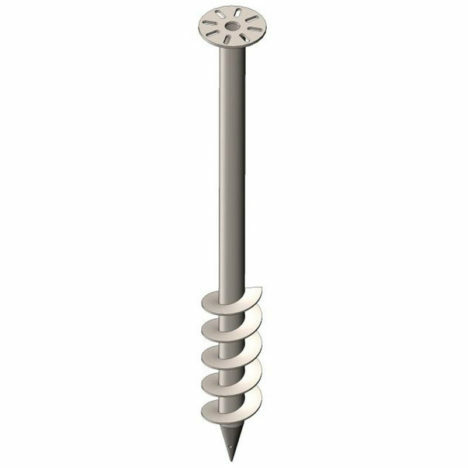 Can ground screws be customized ? 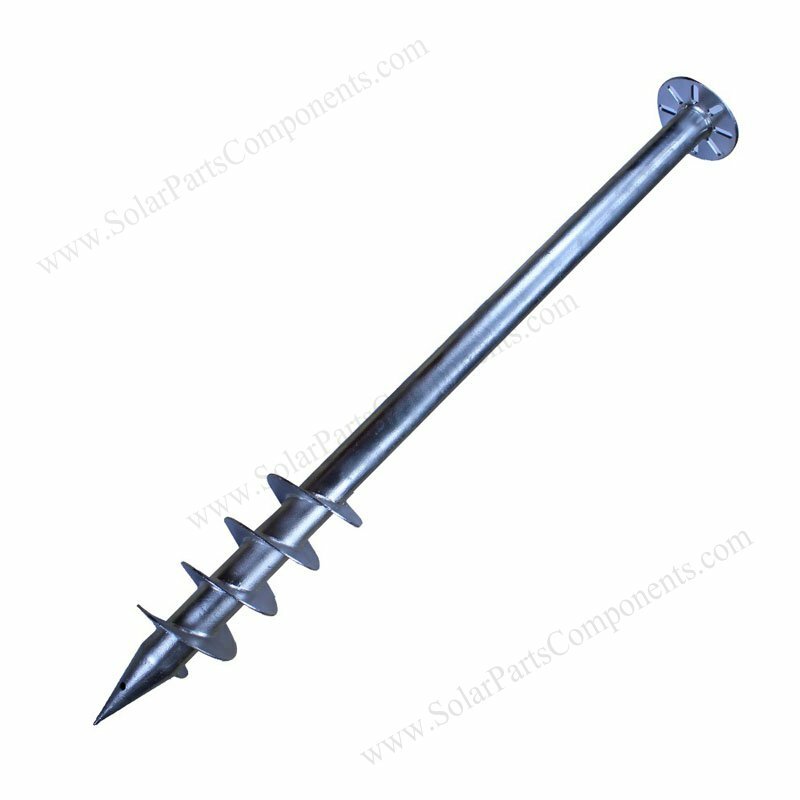 Can ground screws be customized for solar mounting project ? 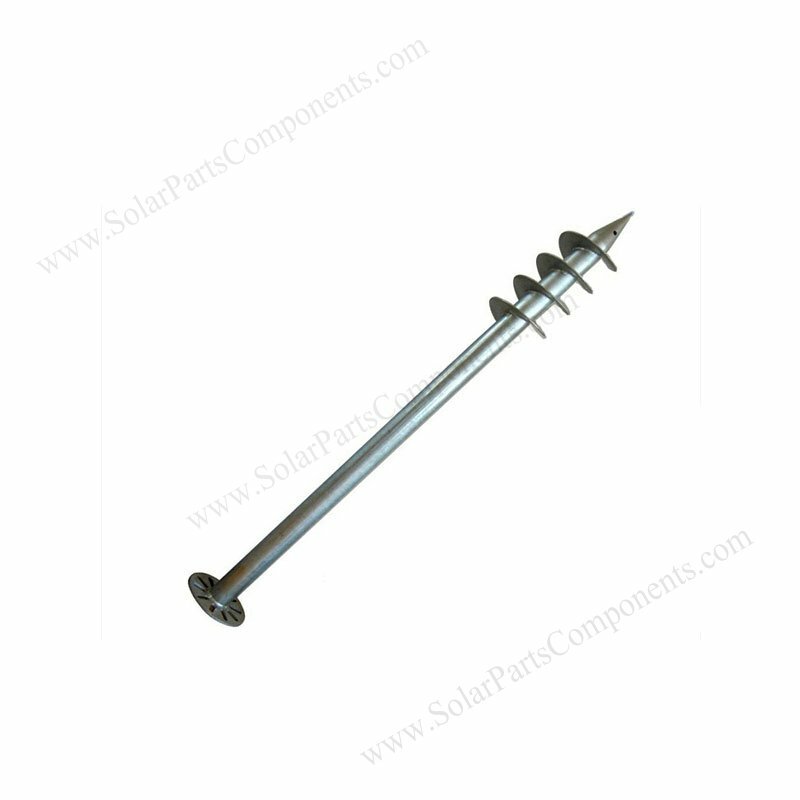 following is one of our customized screw pile case .